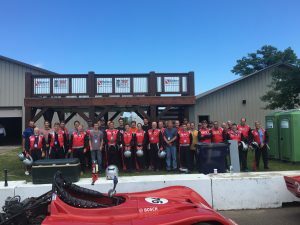 SVL visited northern Minnesota for a day in the fast lane at the BIR Performance Driving School. The group not only experienced the excitement of being at the racetrack, but they were able to drive the race cars! Everyone was provided with a helmet, track suit, and an hour of classroom education to prepare them for the track. The professional drivers & instructors on site took everyone on track tours and provided them insight on how to properly brake, pass, and steer on the course. 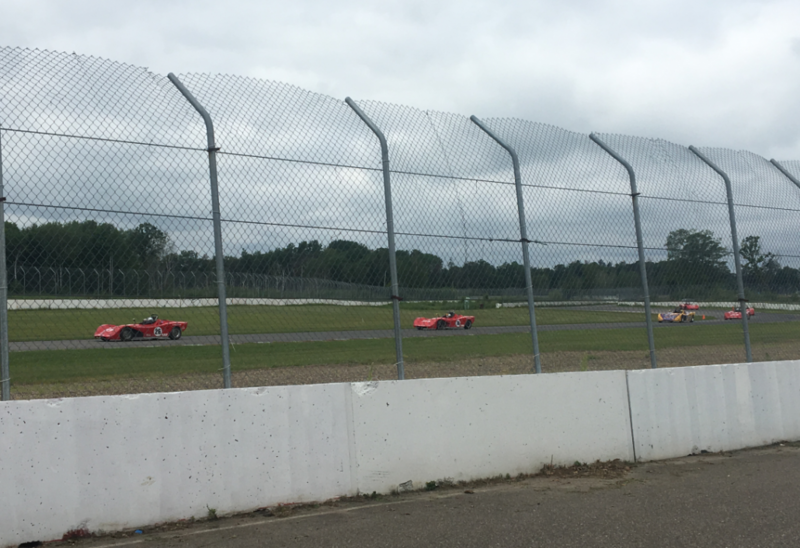 The drivers would all be navigating the BIR Competition Road Course, which was full of exciting twists and turns. With the slogan “The most fun you can have on the road…at least legally!” the BIR driving school certainly lived up to it. Once out on the track everyone was able to drive one of the spec racers or the automatic Mazda Miata. Most people took a couple laps to warm up and by the end of the day everyone was flying around the course in friendly competition. Some were repeat customers, while many were experiencing the racetrack for the first time. Everyone enjoyed multiple sessions on the track, getting faster and more comfortable with every lap. For those who wanted even more speed, the professional instructors offered hot rides in their own race cars, which ranged from a Porsche 911 Carrera to a Lotus Exige… Everyone thought they were going really fast until they rode shotgun with the pros. 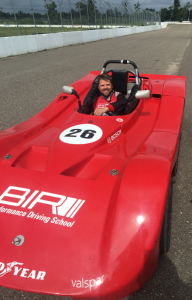 Big thank you to the folks at the BIR Performance Driving School for the amazing experience! It was not easy organizing our large group, and providing back to back trips all day. This was truly a day no one will soon forget.